Her Majesty is Head of State in Belize, meaning that she has a unique relationship with the central American country. In all her official duties relating to Belize, she speaks and acts as Queen of Belize, and not as Queen of the UK. 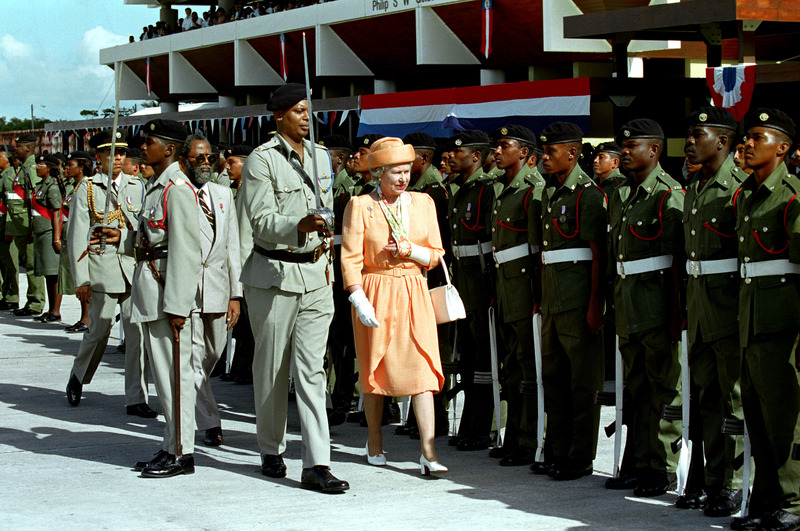 Royal visits during her reign have helped strengthen the relationship between the Commonwealth nation and the Royal Family. As a constitutional monarch, The Queen is not involved in the day-to-day business of the Government of Belize, though she continues to play important ceremonial and symbolic roles in the life of the nation. Her Majesty maintains contact with the country via its Governor-General – her representative there – as well as meeting its High Commissioners in the UK. The Governor-General is appointed on the advice of Belizean Government Ministers. The Queen's Royal style and title in Belize is Elizabeth the Second, by the Grace of God, Queen of Belize and of Her Other Realms and Territories, Head of the Commonwealth. The late Princess Margaret was the first Member of the Royal Family to visit Belize during The Queen’s reign, in 1958. Since then, The Queen, The Duke of Edinburgh and many other members of the Royal Family have visited, often to mark key events or milestones. By coincidence, this visit, like my first in 1985, comes in the aftermath of a general election, during which the Belizean people have demonstrated once again that their democracy, though young, is robust. As your Sovereign, I am proud to associate myself with your determination that social justice and personal freedom should flourish under the rule of law. The Duke of Edinburgh had previously visited the country in 1975 as part of a solo Caribbean tour and again in 1988 in his capacity as President of the World Wide Fund for Nature. His Royal Highness also spoke about Belize's legendary hospitality, the warmth of the reception he had received in the country and the long friendship between the peoples of Belize and Britain, particularly evident in the longstanding cooperation between the Armed Forces of both countries. 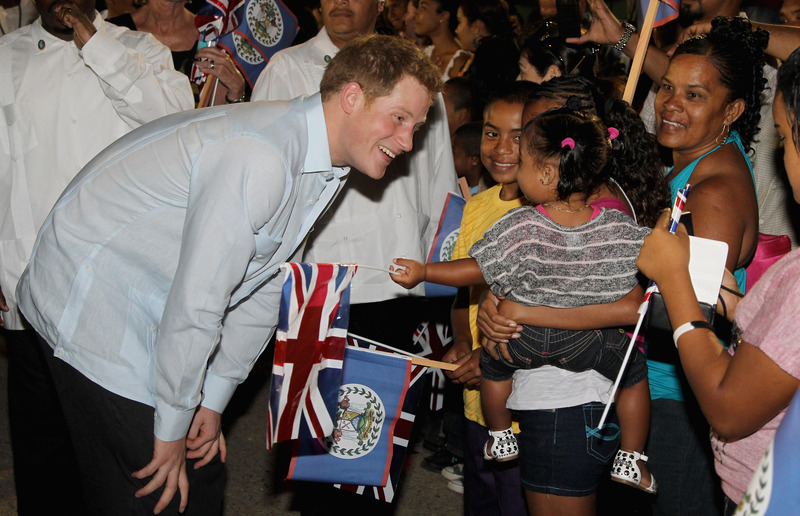 During his visit Prince Harry visited the remains of the ancient Mayan city of Xunantunich, launched a canoe named in honour of The Queen, and met Belizean veterans of the Second World War. In 2014 The Queen Elizabeth Diamond Jubilee Trust launched a search for exceptional young people across the Commonwealth who are passionate about working with their communities to effect change. 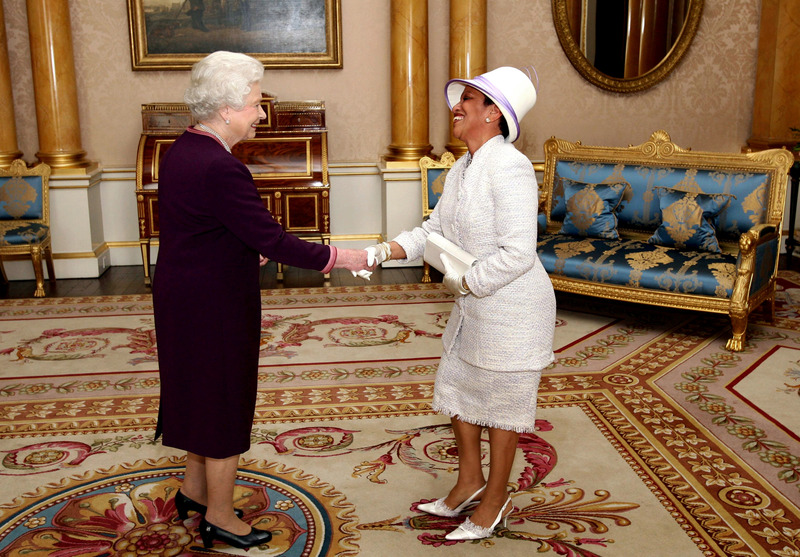 The first Queen's Young Leaders announced in 2015 included Denielle Neal from Belize. Denielle has worked since the age of fourteen to help better the lives of disadvantaged young girls and teenage mothers and to help more girls to get into education. I am really excited to be a Belizean getting this award at such a young age...I feel like I show that we do have good teens out there, I hope they can see that we can do positive things in Belize as well. In the second round of The Queen's Young Leaders in 2016, Belizean Deidra Smith was congratulated for her work encouraging young people to enter higher education.